The Caddis fly Shop stands ready to deliver the full range of inflatable water craft specially designed for the fly angler; - including float tubes, PAC series, frameless rafts, and PRO series guide rafts, plus the venerable WATERMASTER . Inflatable rafts have come a long way from the days when we grew up fishing out of little yellow rafts with flimsy oars in Oregon Cascade Lakes. Fabrics, inner bladders, valves, oars, and all the various rafting accessories have evolved generations from the inflatable boats of our youth. 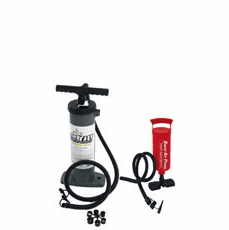 The Caddis Fly Shop will deliver any inflatable fishing craft manufactured by OUTCAST or WATERMASTER at highly competitive pricing. we invite you to order, call, or email to enquire on availability and shipping costs, if any, but NO SALES TAX is the standard here. Outcast Fish Cat Pontoon Framed Rafts Our finest line of pontoon rafts for angling access to a wide variety of waters, the Fish Cat series is the Silver standard of pontoons. 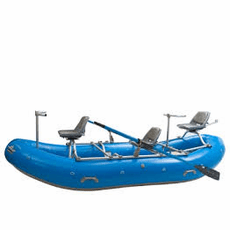 Offered in models that are 8, 9, 10, and 13 ft long, these comfortable pontoon frame rafts handle rough water and can be rowed or kicked with fins. 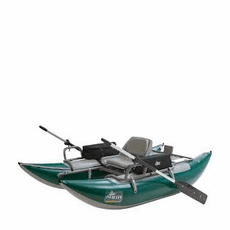 OUTCAST Float Tubes These modestly priced float tubes are state of the art fishing platforms for still waters. Excellent materials designs, and performance on lakes and still waters, including some gentle too. with load ratings from 275 to 325 pounds one of these float tubes will deliver you to the fish. OUTCAST Frameless Series Frameless watercraft are modern marvels that will put you where the fish are in good order. 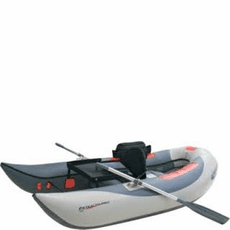 Light and maneuverable, one of the Outcast frameless rafts will handle many of the lake and moderate river conditions. We are available to discuss the applicability of any frameless raft to the waters you wish to fish. From the OSG Commander, the OSG Stealth Pro, and the Fish Cat Scout, one of these will cover many water conditions and fishing demands. 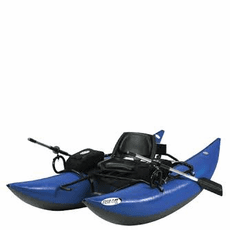 OUTCAST PAC Series From 8 ft to 14 ft, one of these PAC series fishing boats will meet the needs of every angler fishing still waters to the gnarliest white water rivers. The smaller boats are one person configurations, but the largest are set to guide two clients on all day or even overnight trips on rough waters. 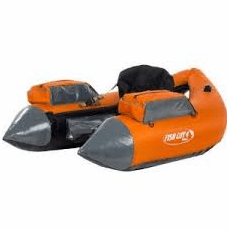 OUTCAST PRO Series Top of the line inflatable watercraft designed with the Professional Guide in mind. If you fish rough water that is not accessible to hard hull drift boats, one of the PRO series rafts will be on your shopping list. 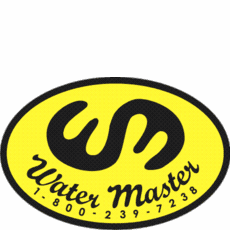 WATERMASTER Rafts The cult of stealth fishing on Steelhead and trout rivers has been expanded by these WATERMASTER inflatables. Simple to transport and inflate, nimble in rough water and lazy spring creeks, one of these WATERMASTER rafts just might be what you are looking for.